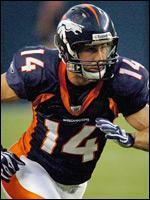 Is WR Brandon Stokley in Danger of Being Cut? There’s a number of vets around the league that will be looking for teams in a few weeks, it’s just the way life goes in the NFL. Such is the case in Denver as well, as there’s some rumblings about a popular vet that could be released soon, that being wide out Brandon Stokley. There is an impression in camp that Broncos veteran wide receiver Brandon Stokley is on the roster bubble. Once called the “best slot receiver in football” by former coach Mike Shanahan, he was basically used as the third or fourth option at that position by first year coach Josh McDaniels. 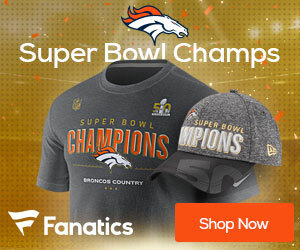 Stokley made the most of his opportunities with four touchdowns among his 19 catches in 2009, including the deflected ball in Cincinnati last September that launched the Broncos’ 6-0 start. Those four touchdowns were second on the team, or more than Jabar Gaffney, Eddie Royal and Brandon Lloyd put together – a total of two, since Royal and Lloyd did not have a receiving touchdown last season Stokeley has picked up the pace in camp over the last week but simple math shows the Broncos have an abundance of receivers this year, especially if they only keep six as they did last year.